Hello there! Exactly two weeks ago the opening of classes has just begun and it only means that it's back to the original routine. Toys most especially computer gadgets will be left on the cabinets on weekdays and can only be use on weekends. Aside from these I'm back to dropping son1 and son2 at school. More of helping son2 doing assignments, and assisting the elders on what they need. It will be some run errands from bookstore and attending some school meetings. While doing my chores at home and attending the needs of my kids on weekdays, it's the perfect time again to wait for the coming of friday or weekends to have some sort of "me time" alone or with friend /s. Some sort of rejuvenation. As well as bonding together with kids, eating out or a movie date. We have a noise free atmosphere now, or I can say it lessens. So as school season started it will be me and my little daughter Iya left at home. It's our moment now, most of the time.How I wish I have a space that can be a play room or an outdoor play area, where I can put some of my kids stuff and not all stuck in our living room. I'm still on the lookout of having an environment of one of these gorgeous indoor and outdoor inspiration in my own backyard so that my kids will enjoy more our play time; running, reading playing and eating. A dream. play area downstairs and eating,reading area upstairs. I remember my childhood playing in our neighbors treehouse, it's always a fantastic memories to look back. 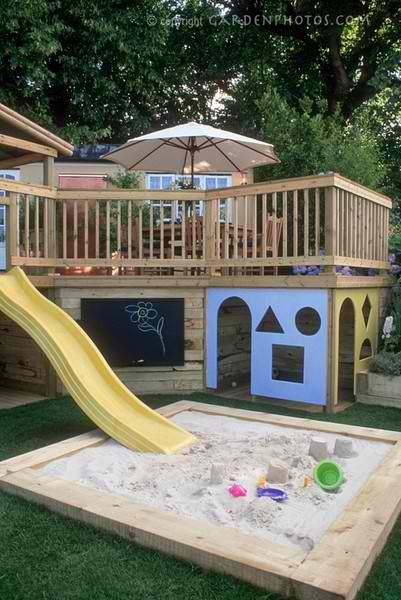 I hope my kids can enjoy doing so with outdoor play house alone or in a tree house similar to this. How cute having one room of the house especially made like this, right? a haven for a kid. 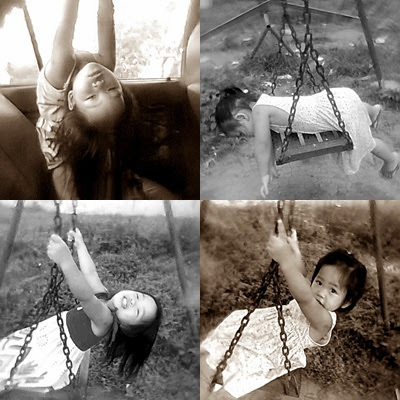 Here's a photo collage of Iya's activities from the playground, some pictures from the car. I can say she is a very active little girl. My son would love that sandbox. 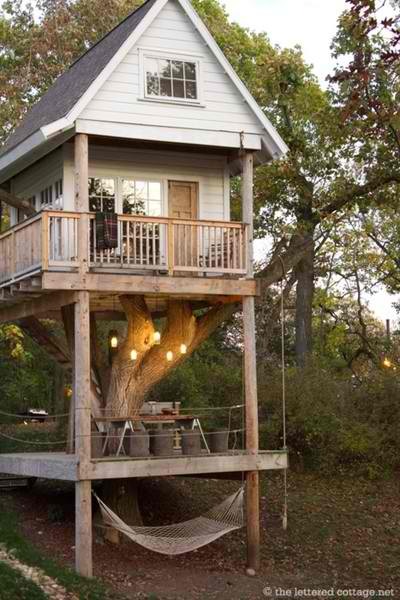 I would love that tree house, haha! My daughter is out of school for the entire summer. Summer school classes were junk. Will probably send her to surf lessons. Well i love that tree house myself too hahaha! Wow! Surfing lessons sounds great.hope you and your kids enjoy the rest of summer. That 2nd play house is amazing! I love the levels. 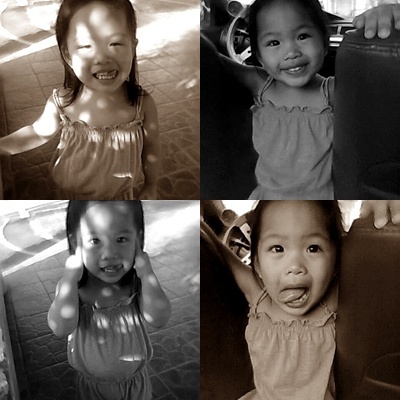 Iya looks so adorable. Mother of four? You are one brave woman, I only have two and they are already a handful. 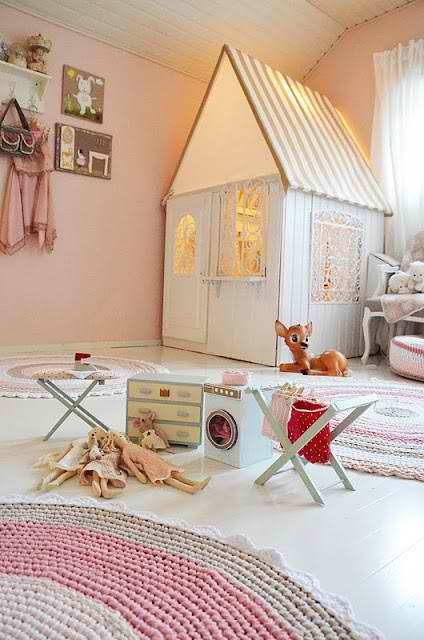 I adore these playhouse images, would love to have something similar for my two girls. 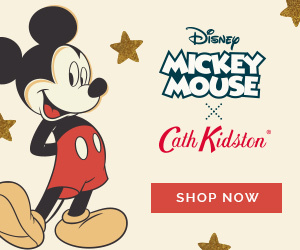 Really glad to have found your blog. Hope to keep in touch. Expect me to keep in touch. Thanks!